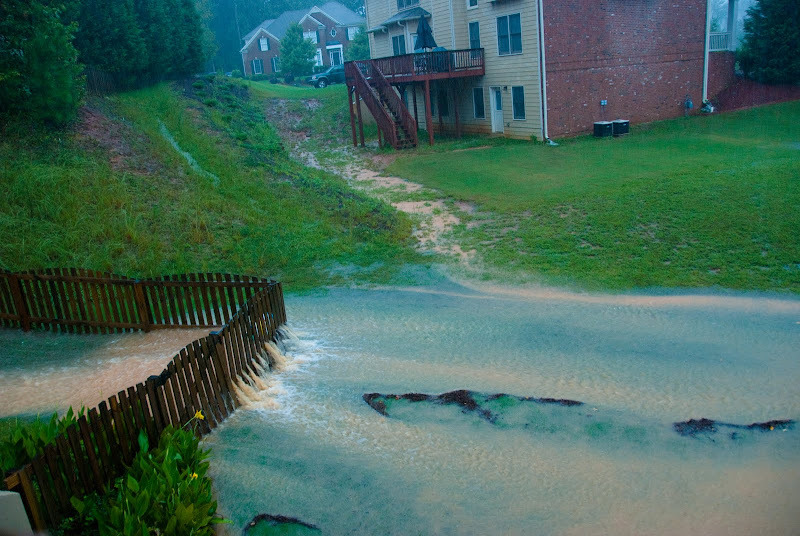 Wow…we’ve been gone a little over a week and came home to a monsoon. 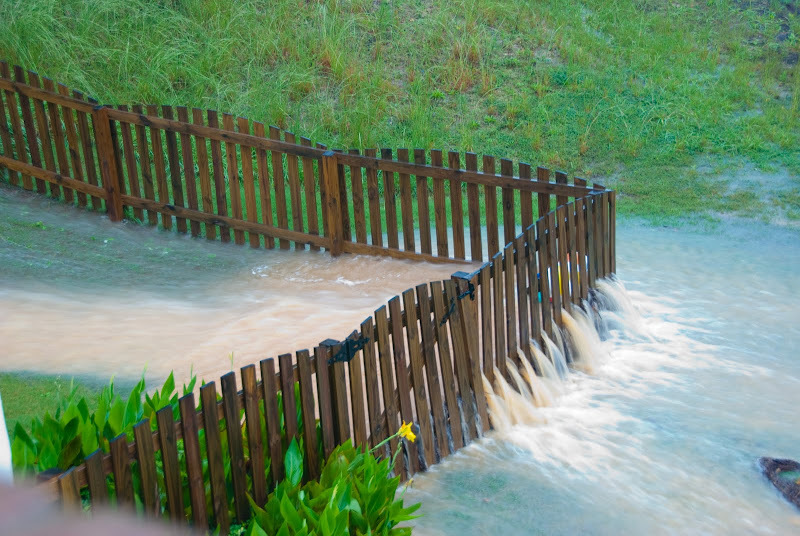 This is what our backyard and sideyard looked like a couple of hours ago…pretty scary. Seriously, it was a raging river. 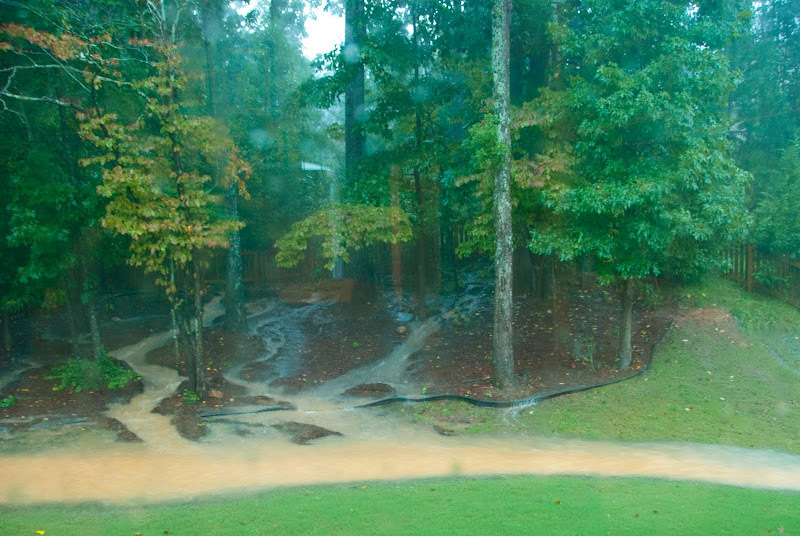 Luckily, the basement is ok.
View of the backyard…all the water flowing to the right corner. Looks like the rain has slowed a bit along with the thunder and lighting…but the forecast shows plenty more on the way.